Eduardo Calixto Consultant (ECC) is an expert consultancy group focused on providing consultant services and training to the global different industries such as Oil and Gas, Railway, Aerospace, Nuclear, Military, Mining, Automotive and Power Plants. Our services are based on the experience of over than 20 years in such industries by applying different solutions during the all company´s asset life cycle phases. Eduardo Calixto Consultant (ECC) strength lies in its ability to assess, improve, and deliver Asset Management, Asset Integrity, Safety, RAM (Reliability, Availability, Maintainability) and LCC analysis and forecasting across all stages and phases of the asset life cycle. Risk Management (hazard identification, risk analysis, risk evaluation, risk mitigation, risk communication, risk monitoring). Safety and Occupational Health Management. Safety System Audit based on ISO 18001 standard series. What is expected to achieve ? What´s expected to achieve ? 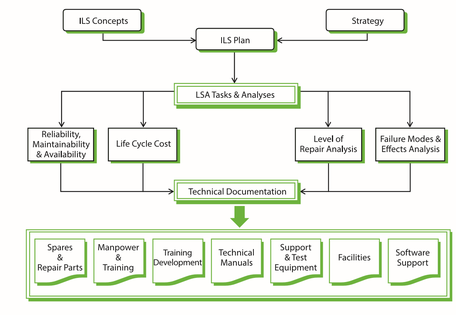 ILS Program Implementation for Aerospace and Military Industries. Basis for future RAMS projects.